To anyone unfamiliar with the festival at Edington, the title Edington Music Festival might well conjure up images of string quartets, lecture-recitals and expensive tickets. 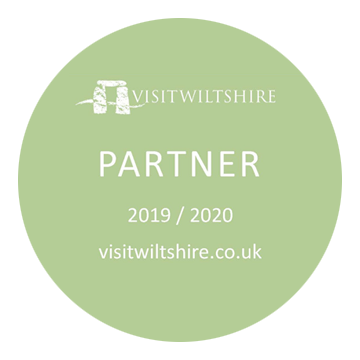 In order to prevent this kind of misunderstanding the festival was known for a time as the Edington Priory Festival of Music within the Liturgy, but since this was rather long-winded the Festival Society agreed last year to revert to the original title of Edington Music Festival. However, not wishing to lose the obvious advantages of the abandoned title it was decided to add a subtitle – A Festival of Music Within the Liturgy. This subtitle is crucial because it conveys the essential aim and character of the festival, both of which are fundamentally different from most music festivals. Music is not performed at Edington for its own sake, but always as a means of worshipping God, enhancing the liturgy of the church, and uplifting the souls of the faithful. 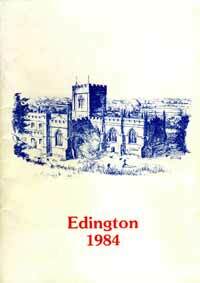 As David Calcutt wrote in the Introduction to the Festival Companion in 1963, “Edington Music Festival is a corporate act of worship by people sharing God’s gift of music; and that act of worship is expressed through the liturgy of the Church.” Based on this central purpose, the festival has been a constantly changing experience because of its willingness under successive directors to experiment with different patterns and expressions of worship. New music has always played an important part in the festival, as has the revival of early music, though its roots remain firmly in the Anglican choral tradition. 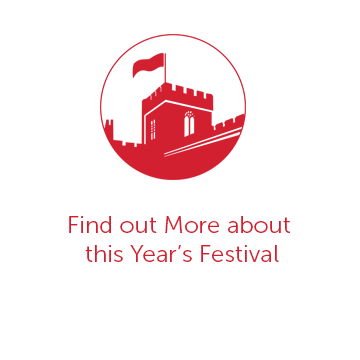 The festival has thus always featured as its main musical group a choir of men and boys, adding to this a wide variety of choral and instrumental groups over the years. This year’s festival involves three choirs, each with its own distinct character. The Nave Choir draws its repertory from the mainstream of traditional church music, though not without dipping into a few interesting eddies and side-currents along the way; the Consort provides in the main a selection of Medieval and Renaissance music, and the Schola Cantorum offers a rich and varied diet of plainchant. The theme of this year’s festival comes from the fifth chapter of St. Paul’s letter to the Galatians, where Paul contrasts the desires of the flesh with those of the Spirit. There is little room here for the kind of theological controversy that seems to occupy so much of our pulpit and media-time. Christians of all persuasions can be united in their quest to discover for themselves the fruits of the spirit, and to display them openly in their everyday lives. The choice of music for the festival, particularly for the Sequences of Readings and Music, reflects as far as possible the various aspects of the theme, whilst providing variety and interest also from a purely musical point of view. On Monday evening the Sequence considers our love towards our neighbour as a response to God’s love for us. Tuesday contains an element of penitence, and looks to the example of the saints. On Wednesday, joy is expressed principally through psalmody. At Evensong both the Introit and Anthem take their texts from the psalms, and to match the contemporary English used in these early Reformation anthems the Psalm proper for the evening will be sung in a metrical version by Archbishop Matthew Parker, taken from his complete Psalter which was published in 1567 with a set of tunes specially composed by Thomas Tallis. Thursday’s Sequence considers first peace between peoples and nations, and then turns to our own concern for peace as individuals. On Friday we share our theme with a celebration of the feast of St. Bartholomew, the readings at Choral Matins being those set for the day. In the evening the festival is delighted to welcome the Bishop of Salisbury, the Right Rev. John Baker, as celebrant and preacher at our Solemn Eucharist. On Saturday evening the Celebration of the Christian Year adopts a reflective rather than dramatic approach, giving opportunity for thought on the meaning of the major events of the liturgical calendar. Translations of all non-English texts sung this week can be found elsewhere in this booklet, but I would like to draw your attention to two works in particular, to be heard on Monday and Thursday evenings. On Monday we hear a setting by Josquin of the graphic poem ‘Huc me sydereo’ by the Italian humanist Maffeo Veggio, in which Christ speaks to us from the cross. This is strikingly similar to the anonymous English poem of the same period, “Woefully arrayed”, which can be heard at the Solemn Eucharist in the morning, set to music by William Cornysh: “Thus naked am 1 nailed, 0 man, for thy sake. I love thee, then love me: why sleepest thou? Awake!” Josquin, like Cornysh, pays close attention to the text in his setting, producing some of his most expressive music. Note, for example, the long overlapping downward scales on the word “descendere”, or the drooping phrases for the words ‘Verbera tanta pati” (to suffer heavy scourgings). On Thursday evening we hear a motet by Guillaume Dufay, the leading composer in the generation before Josquin. ‘Supremum est mortalibus’ was composed for the signing of a peace treaty in 1433 between King Sigismund and Pope Eugenius IV, a fact that Dufay makes abundantly clear at the end of his work by setting their names to block chords before the final Amen. In the main part of the work Dufay contrasts passages of parallel writing, derived from the style o f contemporary English musicians, with more ornate writing which often makes reference to the text, as for example where a decorative melisma illustrates the maid adorning her hair. This is my first year as director of the Festival, but like my two immediate predecessors I first came as a chorister. Someone commented last year that it is tempting to try to pick out a future director from each year’s new crop of boys! Of course there is nothing of particular significance in this fact, but it does perhaps serve as an illustration of the way that many people who come to the festival and enjoy its unique atmosphere find themselves wishing to return year after year. Last year the festival said farewell to two people whose devotion to the festival led them to offer much time and effort to it over many years – Jane Jones and Jane Allsopp – and I should like to record here a formal word of thanks to them on behalf of the festival for all they have done in the fields of catering, administration and beyond. Any director is helpless without both the active and moral support of others who believe the festival to be worthy of preservation.